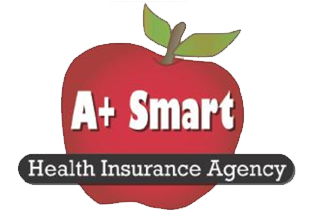 With Health Care Reform quickly changing the insurance market, we at A+ Smart Health Insurance Agency are trained to find you your best health insurance benefits, on or off the Marketplace. We are licensed brokers, certified with Connect for Health CO, a marketplace where individuals, families and small employers across Colorado purchase health insurance and apply for new federal financial assistance to reduce costs. Open Enrollment Period ends on January 15th (apply by December 15th for a January 1st effective date). Any further extensions are at the option of federal and state government and are not guaranteed. To purchase individual health insurance after January 15th, you must have a qualifying event (visit our F.A.Q. to learn more). If you do not buy Health Insurance at this time, you cannot purchase Health Insurance later in the year until Open Enrollment opens again, or unless you have a qualifying event. You also cannot switch plans mid-year without a qualifying event. No need to worry about paying additional penalties on your taxes if you are purchasing health insurance with our Agency! Beware of any agent who promises low premiums with big benefits off the marketplace or guarantees the rate for 3 years, it may not be an ACA qualified plan. Make sure your carrier is listed on the list of approved major medical carriers with Colorado. To learn more, visit our F.A.Q. We are looking forward to offering you a free consultation to go over health insurance plans best suited for your needs, both on and off the Marketplace. In a hurry? We do not recommend it, but if you want to select a carrier and a plan and sign up on your own, CLICK HERE.